This is the second panel from the right of a four panel piece. There is a complete set of these prints in the Rijksmuseum, Amsterdam. 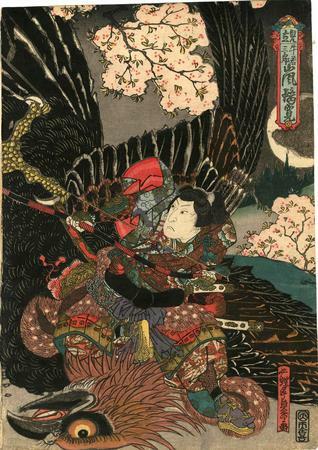 The full tetraptych is illustrated in Ikeda Bunko, Kamigata yakusha-e shūsei (Collected Kamigata Actor Prints), vol. 3, Ikeda Bunko Library, Osaka 2001, no. 111.